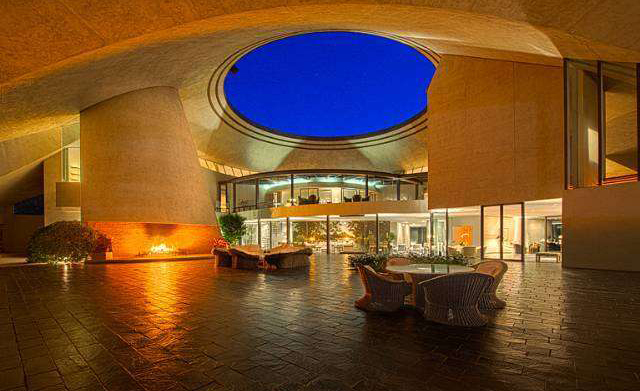 The Bob Hope Estate in Palm Springs has entered the market with a price tag of $34 million, much lower than the $50 million the family was asking with a pocket listing almost a year ago. 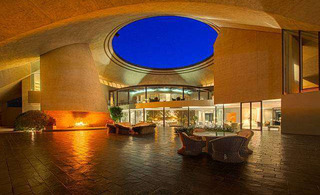 The iconic home was designed by John Lautner and commissioned by the legendary performer and his wife Dolores in 1980. To date, the property is the largest private residence ever designed by the architect, according to Redfin. "The property has entertained dignitaries from all over the world and is viewed by many as one of the most iconic pieces of architecture in the world," the listing states. The property encompasses 23,366 square feet and includes 10 bedrooms and 9.75 baths. Its most prominent feature is the large domed roof, which includes a large opening to allow sunlight at the center of the home. The home sits on six acres of land and features indoor and outdoor pools, a spa, putting green and a tennis court. It also includes a guest house, maid's quarters, an elevator and views of San Jacinto Mountains and Coachella Valley. 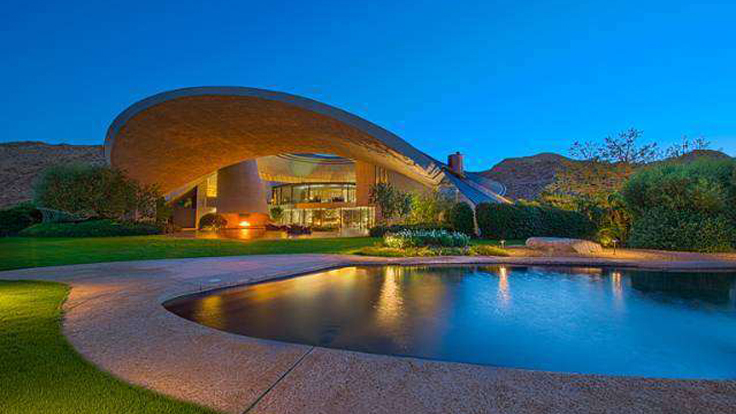 Another home owned by the family of the legendary performer is still on market for $27.5 million. The 14,876-square-foot property is located in Toluca Lake, CA and includes eight bedrooms and eight baths. Reality TV star and clothing designer Lauren Conrad has purchased a home in Laguna Beach. Ice hockey legend Wayne Gretzky has listed his townhome in Thousand Oaks, California for $1.899 million, just four months after listing his home in Arizona. Oscar-wining actor Matt Damon and wife Luciana Barroso have cut the price of their Miami Beach mansion by more than $1 million, after putting the house on the market seven months ago. Hollywood actor Leonardo DiCaprio has purchased a multi-million dollar apartment in a new wellness-centered building in New York's Greenwich Village, according to media reports. Four-time Emmy-nominated "Modern Family" star Jesse Tyler Ferguson and husband Justin Mikita have purchased a Spanish Colonial home in Los Angeles' celebrity-popular Los Feliz neighborhood for $4.55 million.